Yet the problem is that in this context “philosophy” is rarely, if ever, defined. Consequently, if the criticism is substantial, it’s substance is only known to the one making the accusation and is, therefore, impotent. Inversely, if the criticism is not substantial, then it is devoid of any meaning whatsoever and is, therefore, impotent. In a word, it would be better for such critics to not say anything at all than to speak, in the first instance noted, an ineffable mystery, or, in the second instance noted, a gust of conceptually vacuous, fetid, hot air. Nevertheless, however one’s critic defines philosophy in the accusations mentioned above – “Your argument is philosophical, not Biblical!” and “That doctrine is philosophical, not Biblical!” – of this we can be certain: The accusation is meant to discredit one’s argument and/or one’s doctrine. Since the Scriptures clearly command Christians to not be taken captive by vain philosophy, the assumption made by the critic is that if one is making philosophical arguments or holding to a position that others think is “philosophical,” then it follows that he is in the wrong, is in sin, and must reject his argumentation and/or doctrine. That “philosophy” which does not find its starting point and direction in Christ is further described by Paul in Colossians 2:8. Paul is not against the “love of wisdom” (i.e., “philosophy” from the Greek) per se. Philosophy is fine as long as one properly finds genuine wisdom – which means, for Paul, finding it in Christ (Col. 2:3). However, there is a kind of “philosophy” which does not begin with the truth of God, the teaching of Christ. Instead this philosophy takes its direction and finds its origin in the accepted principles of the world’s intellectuals – in the traditions of men. Such philosophy as this is the subject of Paul’s disapprobation in Colossians 2:8. 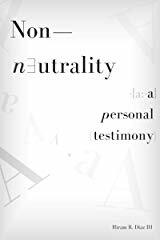 It is instructive for us, especially if we are prone to accept the demands of neutrality in our thinking, to investigate his characterizations of that kind of philosophy. So if someone makes the unqualified accusation that one’s argument is philosophical or that his doctrine is philosophical, the accusation is still impotent, since one can make a philosophical argument or hold to a philosophical doctrine in so far as it is according to Christ, i.e. according to God’s Word. When the accusation is made with a bit more specificity, the critic typically will say that one’s argument and/or doctrine depends on, is derived from, or is Greek philosophy. The restorationist cults – Seventh Day Adventists, Jehovah’s Witnesses, Latter Day Saints, Black Hebrew Israelites, et al – are particularly fond of making this claim. However, there are some putatively orthodox individuals and groups, at least in other areas, who make similar claims. 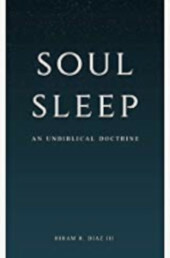 For instance, so-called “Evangelical Conditionalists” will very often claim that the doctrine of the immortality of the soul is not a biblical doctrine but Greek philosophy (spec. Plato). They will often likewise claim that the orthodox doctrine of hell is derived from Greek philosophy (again, spec. Plato). Some conditionalists will claim that the doctrine of anthropological dualism is also Greek philosophy and not Biblical doctrine (again, by philosophy they mean Platonic metaphysics). Others who may not be conditionalists/annihilationists will nevertheless deny that the Scriptures teach anthropological dualism, claiming instead that they teach anthropological monism (i.e. Man is a wholly material being, and “the soul” is the byproduct of electro-neuro-chemical activity). This view, they claim, is the Jewish teaching of the Old Testament which knows nothing of the Greek teaching of man being comprised of two distinct substances (viz. body and soul). And for their specificity, I commend them. The problem is that there is no such thing as a specifically distinct Greek metaphysics. Anyone who has even a cursory apprehension of the history of philosophy will know that while Plato was a Greek and a philosopher, he by no means is representative of Greek philosophy as a whole. Instead, Greek philosophers held a variety of metaphysical and epistemological and anthropological viewpoints. The earliest Greek philosophers on record, for instance, were materialistic metaphysical monists. They attempted to reduce the universe to either one material substance or process (e.g. fire, water, earth, love, strife, etc) or the interaction of multiple instantiations of the one substance, viz. matter. From this it follows that the earliest Greek philosophers not only held to a view of the world that has more in common with ancient Indian and African philosophy, but which also implies that man is not two distinct substances (i.e. body and soul) but one (i.e. the body). And not only this, but the philosophy of the Greek philosopher Plato was succeeded by the Greek philosopher Aristotle, a disciple of Plato who did not embrace the metaphysical dualism or anthropological dualism of his mentor, but instead held to a view of man that, according to the above mentioned critics, is actually Jewish in origin, viz. anthropological monism/physicalism. So if it’s good and proper to identify Christian doctrines as Greek philosophy because they have very few points of coincidence with Platonic teaching, why is it not good and proper to identify anthropological monism, and other doctrines like annihilationism/conditionalism, as Greek philosophy too, seeing as they find many points of correspondence with the philosophy of Aristotle? What justifies this double standard? Who Is Really Taken Captive by Vain Philosophy? For those of us who are familiar with the history of philosophy, the idea that Christian doctrine is not derived from Scripture but from the philosophy of the Greeks is plainly absurd. But not only this, it is an indication that the thinker of such an idea is either ignorant of the history of philosophy or is a deceiver. For the history of philosophy, from Ancient Greece, starting with Plato and up to the present has been, in large part, a movement away from the so-called “Greek” dualism of Plato and toward the Greek naturalistic philosophy of Aristotle. There have always been, of course, detractors to the prevailing philosophical trends of the day. However, since at least the late Medieval Era philosophers moved away from doctrines in philosophy that had largely, if not exclusively, been associated with Plato (e.g. metaphysical realism, metaphysical dualism, anthropological dualism, the immortality of the soul, et al). The Enlightenment even saw the publication of Francis Bacon’s Novum Organon which argued for the use of inductive argumentation & empirical observation, specifically as a superior means of acquiring new information about the world than any other method. Deductive reasoning was decried or relegated to the sphere of triviality, and epistemological foundationalism was championed by most. And when the era of scientism had come, with it came the erosion of truth, actual universals, life after death, the immortality of the soul, the intermediate state, everlasting conscious torment, and a host of other doctrines which had been professed by Christians since the earliest days of post-New Testament church (i.e. after the closing of the canon). 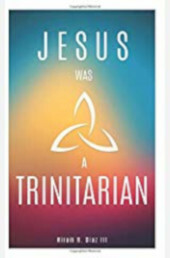 And the changes were not confined to wholesale metaphysical, epistemological, and anthropological beliefs held by many academics & Christian academics, but also to assumptions foundational to the interpretation of the Scriptures. So apart from the Spirit’s illumination of the Scriptures, how the Scriptures are completely unified in their teaching, how they interpret one another (and are not interpreted by external socio-historical considerations and reconstructions of contemporaneous historical phenomena), the natural man cannot understand the Word of God properly. Thus, one may properly utilize the historical grammatical method of interpretation and fail to see what Christians have always, by the illuminating work of the Spirit of God, seen as clear as day in the Bible. This is not occult knowledge, nor is it a Christianized gnosticism – it is what the Scriptures teach. The natural man receives not the things of God. And any interpretive method that says he does is in contradiction to God’s Word. Any interpretive method that says the natural man can understand the things of God properly is, well, operating upon an assumed understanding of the nature of man that is not derived from the Scriptures but philosophical schools of thought following in the line of Aristotle and his successors. Sadly, those who identify sound Christian doctrine as Platonic or Greek philosophy typically have no idea what they are talking about, or worse yet are aware of their deception and remain unflinchingly committed to deceiving Christians. 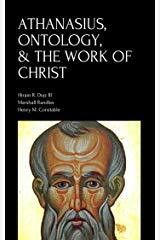 Sadly, many who call themselves Christians renounce systematic theology as the fruit of an “overly logical” (another meaningless and impotent phrase), renounce anthroplogical dualism as the fruit of Greek philosophy, and reject the endless existence of the soul after death and final judgment – while not realizing their non-foundationalist, empiricsit, & inductivist epistemology, anthropological monism, and annihilationism have clear roots in the philosophy of Aristotle which began to replace sound Christian theology as early as the late Medieval Era, coming to full prominence among academics in the late 1700s to early 1800s, and which has continued down to our day. 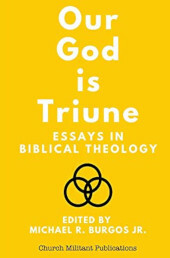 The contemporary emphasis on re-thinking – be it hell, heaven, justification by faith alone, or the doctrine of inerrancy – is a further development in the abandonment of putatively Christian scholars to unbiblical metaphysical, anthropological, and epistemological assumptions found nowhere in the entire canon of Scripture. What makes this movement worse is the fact that those who apostatize from the faith believe that they have a right to do so, that they are entitled to begin from scratch, to be, as it were, a newer and more theologically oriented Descartes. As apologists, then, we must renounce the virtue-signalling of contemporary restorationists who incorrectly and/or deceptively claim to be returning to Scripture alone. They are not returning to Scripture alone; they are chasing after Aristotle’s contemporary successors who believe that knowledge is a construct (via induction and empirical research), man is a monad, and the separation of a thing’s parts is equivalent to its annihilation. We must renounce the contemporary tendency to tear asunder the Scriptures because scholars have once again reconstructed history according to their liking and their limited understanding of those eras which the Scriptures address inerrantly. We must cling to the faith once for all delivered unto the saints, and not budge when the ignorant and/or deceptive seek to demonstrate their intellectual and moral superiority. Be faithful to the Lord Jesus Christ.